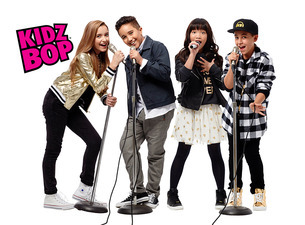 Last Chance to Get Kidz Bop Best Time Ever Tour Tickets! Thanks to Juicy Juice for providing us tickets. Opinions are our own. When my daughter announced that she was going to college in Sioux Falls, South Dakota, I was very excited. Not only did I think she was making a great school decision for the University of Sioux Falls, but I was ecstatic at all the entertainment opportunities in the area. One that my little kids are most excited for is the Kidz Bop Best Time Ever Tour, which is headed to the that city on October 22nd! We are planning a family trip to head up north to the concert, complete with a stop at the college and some time at our favorite pancake diner. I think the event will be the perfect way to kick off fall and reward the family after they have worked so long at harvesting all of the garden veggies we've had this year! The tour, which is put on in partnership with Live Nation, is sponsored by Juicy Juice Splashers and provides kid-friendly fun for all ages of music lovers. A better-for-you beverage, Juicy Juice Splashers* features fruity flavors and 50% less sugar vs. the leading juice, an option both parents and kids love. Fans can have fun at the Juicy Juice tent before the concert and will receive a free sample of the product after the performance. You can find out more about this event, and purchase tickets for one of several dates and cities nationwide, at the Ticketmaster sales page. VIP packages are available for meet and greet, merchandise packages, and special treatment! I'm taking Manny, Marcus, and Moses to this fun event. They are super excited, and it's going to be an extra special time for us in Sioux Falls! Will we see you there?